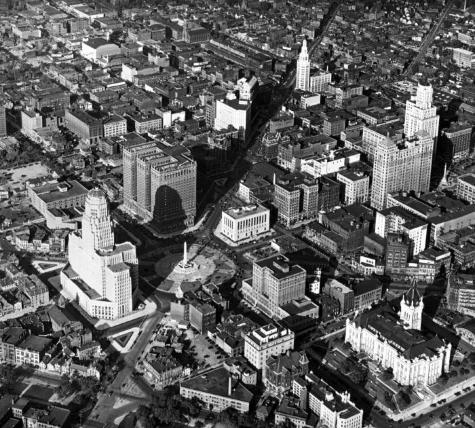 Aerial view of Buffalo, New York. The view includes Niagara Square, City Hall, and the Statler Hotel. Contributor: Fairchild Aerial Surveys, Inc.